Only from american-sewing.com -BEST DEALS AROUND! *Import embroidery designs from App, Dropbox, Etc. The MC15000 has the widest sewing bed and largest touch screen of any Memory Craft. The embroidery unit is the most stable and accurate ever. With every project you get quiet power and unmatched precision. When you create with fabric and thread, every project is a journey. Where you end up and how you get there is all up to you... and your machine. And with wireless connect via your PC or iPad and our fastest processor to date, you'll be there in no time. And the size is fantastic. The Horizon MC15000 comes standard with our largest hoop and has the largest touch screen we've ever made! No matter which direction you head, the new Horizon MC15000 can take you there. We've developed four amazing iPad app to help make your embroidery better. 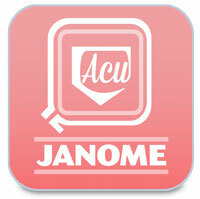 Enjoy AcuDesign, AcuEdit, AcuMonitor and the new AcuSetter apps. Click on the icon to download on the App Store. Click here to access the MC15000 New Owner Lesson. Click here to access the MC15000 iPad Wireless Configuration Setup. The Janome MC15000 is designed to work with your favorite tech devices without having to hook up a bunch of cables. The MC15000 has built-in wireless connectivity to your laptop, your PC, and now, via the AcuMonitor� and AcuEdit� apps included with purchase, to your iPad�. It's like opening up the touch screen on your iPad�. This app utilizes the complete MC15000 embroidery editing suite. 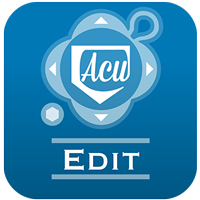 AcuEdit� functions include: Move, Rotate, Enlarge/Reduce, Mirror image, Vertical flip, Centering, Cornering, Copy and Paste, monogramming tools, and more. Users can import designs from the machine to the app and then send back the finished layout when it's ready to be stitched out. 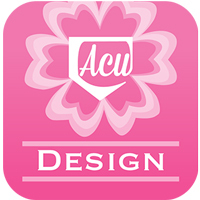 AcuEdit� is easy to use and yet powerful enough to create complex design layouts. 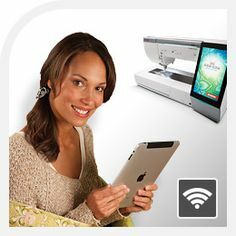 While your MC15000 is embroidering away in your sewing room, take your iPad� to the kitchen and still keep tabs on the stitch out. 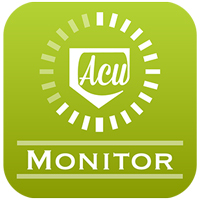 AcuMonitor� is the app designed to monitor your machine using your home's wireless network. You can use it to check embroidery progress, check your machine's status, and view a list of all thread colors for the design which is being embroidered. 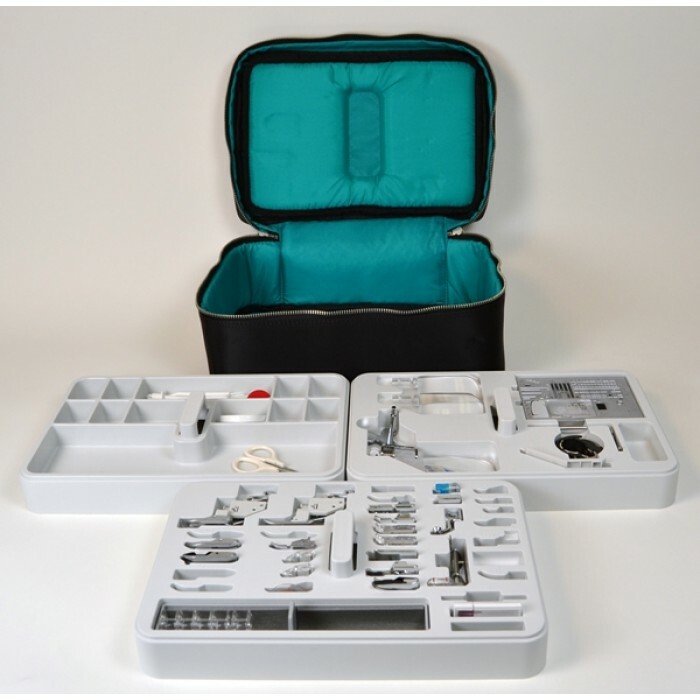 Janome Memory Craft embroidery machines have always set the standard for professional-quality embroidery. And the unit on the MC15000 takes this legacy even further. The unit utilizes three Linear Motion Guides with five ball bearing blocks to give an extremely stable and accurate embroidery motion. The result is embroidery stitch quality you simply can't find on any other brand. Created using technology developed for high precision industrial robots, the embroidery mechanism movement is accurate to within hundredths of an inch. Yet it is so stable and reliable, it comes with a 25 year warranty against mechanical failure. And you can leave it on when you're doing your regular sewing. One of the reasons for the bigger, higher resolution screen is to make your onscreen editing as effortless as possible. Using your finger or the provided stylus, you can quickly create embroidery layouts. All your standard editing tools are included--like Cut, Copy, Paste, Duplicate, Rotate, etc. Plus advanced tools like Cornering, Centering, Letter Arcing & Spacing, and Color Sorting to group your thread colors for fewer thread changes. The MC15000 has a new internal processor that's twice as fast as its predecessor. You'll notice onscreen changes happen more quickly, especially in processor-intensive tasks like embroidery design transfers. This means you can open designs from your USB drive to your Ready to Sew screen 30% faster. Save designs to your USB drive 50% faster. And import designs from your USB drive to your Edit screen 370% faster. The improved Horizon Link� Suite Software includes: the EmbLink Tool for design and remote operation of MC15000, PatternCombo Tool for combining stitches, AcuFil Tool for creating stippling in the hoop, StitchComposer for creating your own stitches, ScreenSaver Tool to create your own custom screen saver on the MC15000, and more.